Eating lunch while reading a book & enjoying the weather. Not a bad way to spend my lunch break at work. Use code RUNNINGLARGE15 for $15 off! Another half marathon, regardless of how slow I ran it (it is now my personal worst finish, but we will examine this in a later post), is in the books. 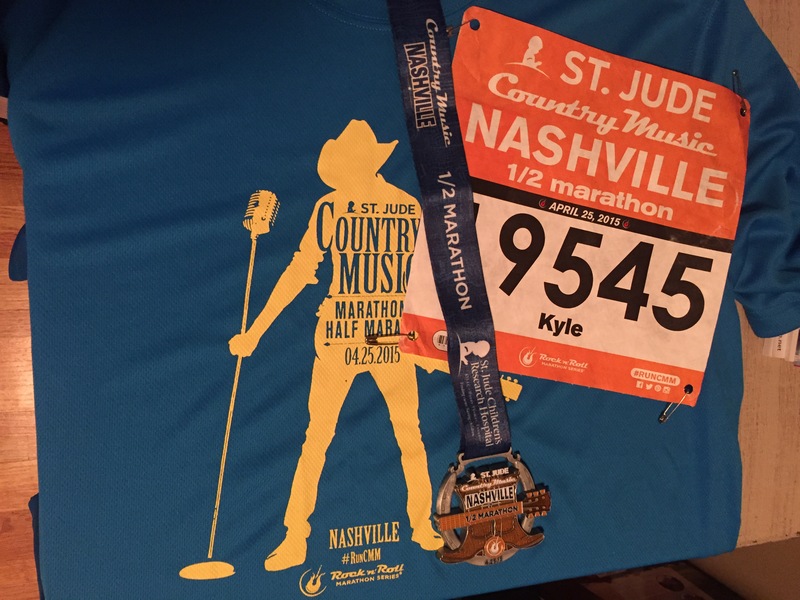 Saturday marked my second consecutive year of surviving the hills of Nashville in the late April humidity. The weather could have been worse, the predicted storms could have come through, ravishing the course and participants, but luckily all we had to endure was humidity at the start, and actually was blessed with a reprieve from the sun beating us down along the course. The temperature remained relatively cool, especially for late April in the south. There were over 30,000 participants for the day’s activities, and while at times, it certainly felt like you were around 30,000 other people, the event does a good job of managing the masses. There is plenty of parking at LP Field, especially if you arrive early, which is something I always try to do. Traffic is a beast, but that cannot be avoided in Nashville. The city is designed in such a way that traffic delays are unavoidable, especially during major events. If you have some knowledge of the side streets, you can circumvent some of the delays, which will certainly help your stress level. The event had 43 starting corrals to spread us out along the course, which certainly helped with the early congestion in the race. I was in corral 19 which meant I started about 35 minutes after the elite runners. The standing and waiting for your race to begin is not ideal, but it certainly beats trying to funnel 30,000+ people along city streets and through water stations. I cannot even imagine the chaos that would ensue without the wave start! An area that the event could improve its crowd management is with the porta-potties, beer ID check, and post race refreshments. On my walk from the parking lot to my starting corral, I only saw four clusters of less than 20 porta-potties within each cluster. For 30,000+ people, this can create some issues. Especially when units begin to run out of toilet paper, which happened around 6:15 for the units closest to the parking lot. To get your ID checked for the post race beer, you had to stand in a long line at the expo. Maybe checking ID’s at the bib pickup location could help? I do not know for sure, but several people skipped the ID tent because they did not want to wait in line for their 21 and over bracelet. The finish line was a huge cluster. People were trying to stretch, refuel, and meet up with their families in a very finite space that was constantly adding new people to it. It felt like runners were being herded like cattle from receiving our medals to the various refueling options, around the corner to the beer tents. 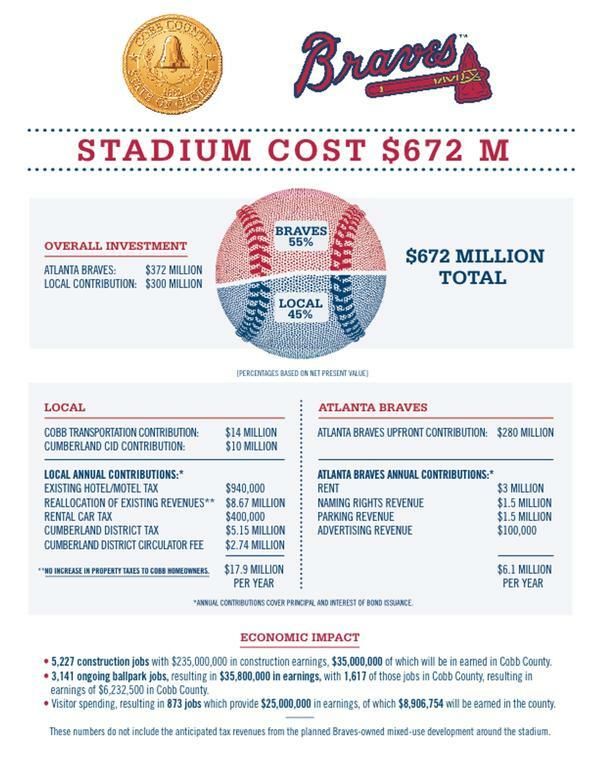 Honestly, the process would have probably worked better if the race could have used the facilities inside LP Field, not just around it. 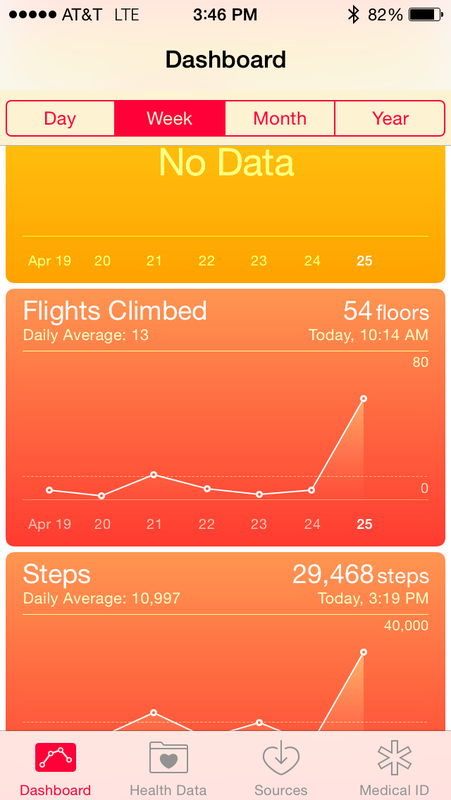 Yep, my iPhone equated the hills to roughly 54 flights of stairs. My Fitbit placed the hills at over 60 flights of stairs. Course: B: It was hilly, but we knew that going into the event. There were bands throughout the course and quite a bit of crowd support. Water stops were frequent and there was GU at mile 11, which is where the marathon and half marathon split up. The wave start helps to maintain the crowd considerably along the course, with only minor issues when the course goes through a residential neighborhood towards the middle. 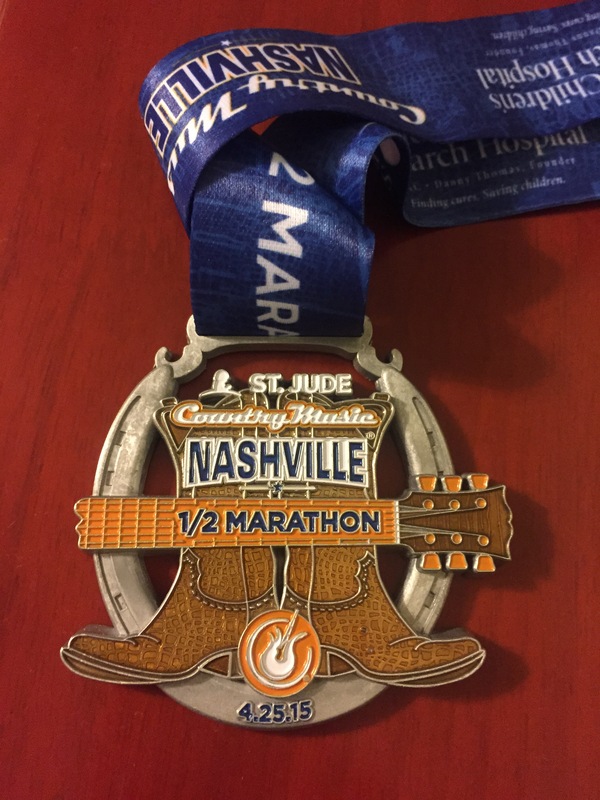 The course incorporates music row and downtown, which are areas everyone wants to see in Nashville. 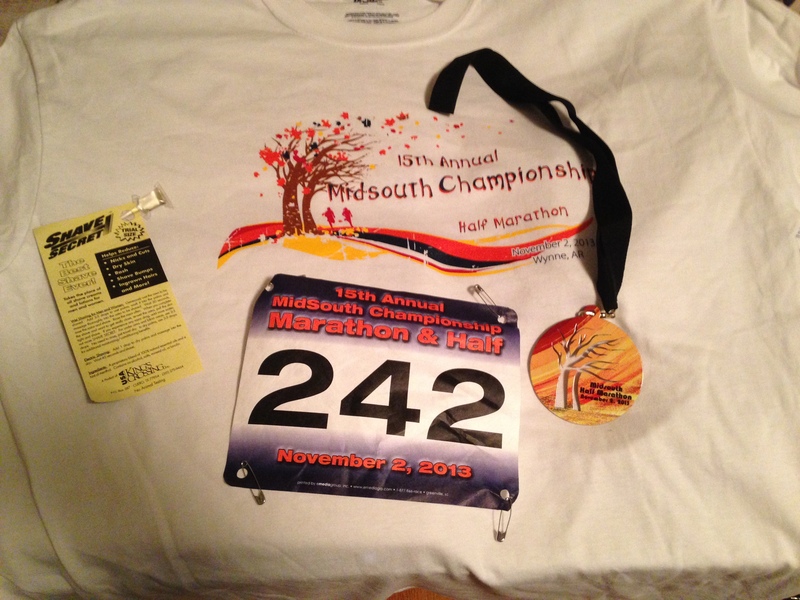 Swag: A-: I like the medal, the shirt is good, but not great, and the post race refueling was plentiful. Rock ‘n Roll events are expensive, so it is nice to know that you got your money’s worth once you finish the event. 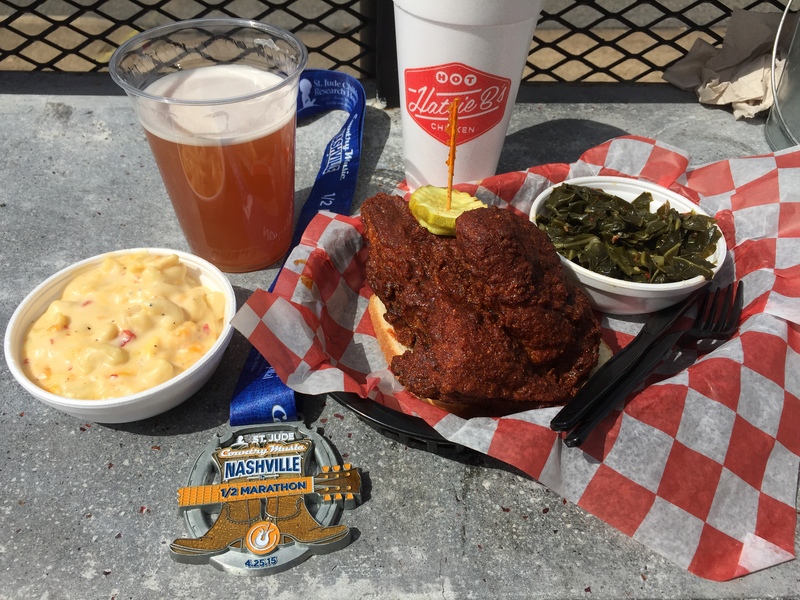 Nashville is known for its hot chicken, so of course that is how I refueled after the race! This meal was consumed at Hattie B’s Hot Chicken. It was excellent. Overall: A: Managing an event for 30,000+ people is not easy. There are going to be complications to address. Lines will be long, the crowds will be dense. The expo was a great example of this. There were numerous vendors there, but getting to each one could be a chore. I loved the expo, and I scored a few much-needed running items on the cheap. I really do enjoy this race, even though it is a challenge for those of us flatlanders that get kicked in the teeth by the hills. I have run in this event before, and I will run in it again. And maybe next year, I will be closer to my 2014 results, and not this year’s disappointing finish. And on a side note, if you like fried chicken and spicy flavorings, Nashville has you covered. I loved the hot chicken at Hattie B’s, and will also be making a return trip there in the future! 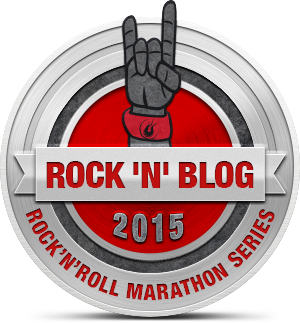 I am a Rock ‘n Blog Ambassador for 2015 and I ran this race as such. It in no way skewed or influenced my reflections of this event (you can check last year’s review for that confirmation). All views and opinions within this blog are my own. 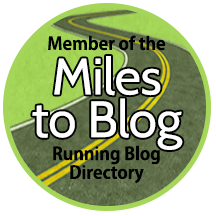 I feel that I covered the WDW Marathon and my experience rather thoroughly, so this post is going to be about everything else that I did while I was at my runcation. Susan and I traveled to Disney World on the Thursday prior to the marathon and left on Monday. During that time, we squeezed in four days in the parks and several excellent meals. And since we went down to Disney for the marathon, our approach to visiting the parks was altered slightly from what we have previously done. Instead of going 100 miles an hour from the second the parks opened until the second the parks closed, we scaled back our time in the parks, but still logged several daily miles. I also brought my GoPro camera along on some of the rides. The Resort: Usually, Susan and I stay at Coronado Springs when we visit Disney, but we could not book a room there for marathon weekend. Instead, we stayed at the Caribbean Beach Resort, which is the largest resort at Walt Disney World, and falls into the moderate resort category. Caribbean Beach was very disappointing and honestly was overpriced for what you get. The interior of the room felt and looked cheap. There were pools, and beaches, and dining at the resort, as it is at all of the moderate resorts, but the rooms were lacking. There are no rooms with king sized beds in the entire resort! 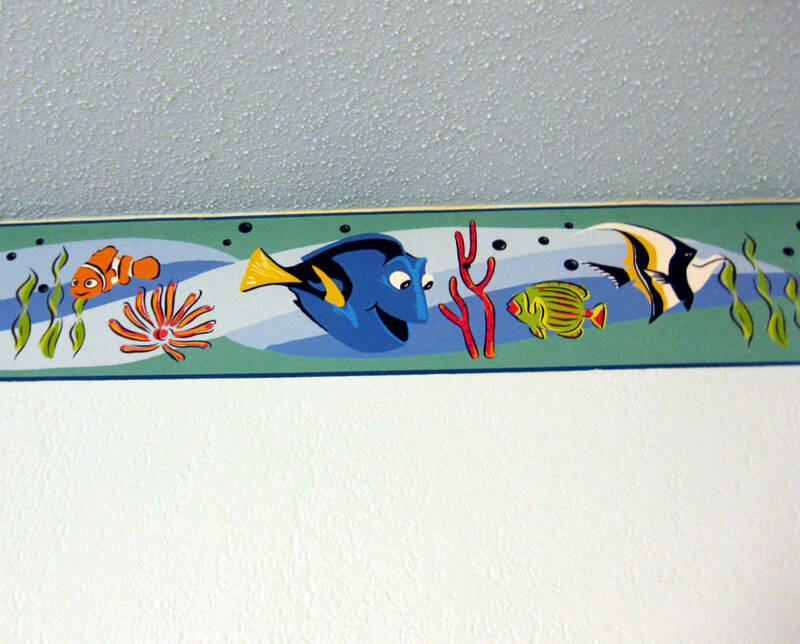 Our room had a cheap, white ceiling fan, a Finding Nemo wallpaper runner around the top of the room, and uncomfortable, bland bedding. For the same price, Coronado Springs has ornate doors and decorations, much better bedding, and closer proximity to the amenities that make the resort a moderate resort. We will never stay at Caribbean Beach again. Thursday: Between flying into town, checking into the resort, the expo, and an intense rain storm, most of our day was consumed outside of the parks. We did manage to go to Epcot late in the afternoon to ride some rides and dinner. Test Track is by far the best ride at Epcot (sorry Soarin’ fans), even if it is just a Chevrolet commercial. and enjoyed dinner at the Coral Reef, which is an underwater themed restaurant with a large aquarium. You pay more for the atmosphere than the food, but every time that I have gone there, I have found something worthwhile to eat. On this evening I tried the grilled Mahi Mahi with laughing bird shrimp, hearts of palm, jasmine rice, cilantro, and a coconut-lime sauce. Susan had the crab cakes and both were good. After dinner we grabbed a cronut for a snack, which is the greatest thing ever! 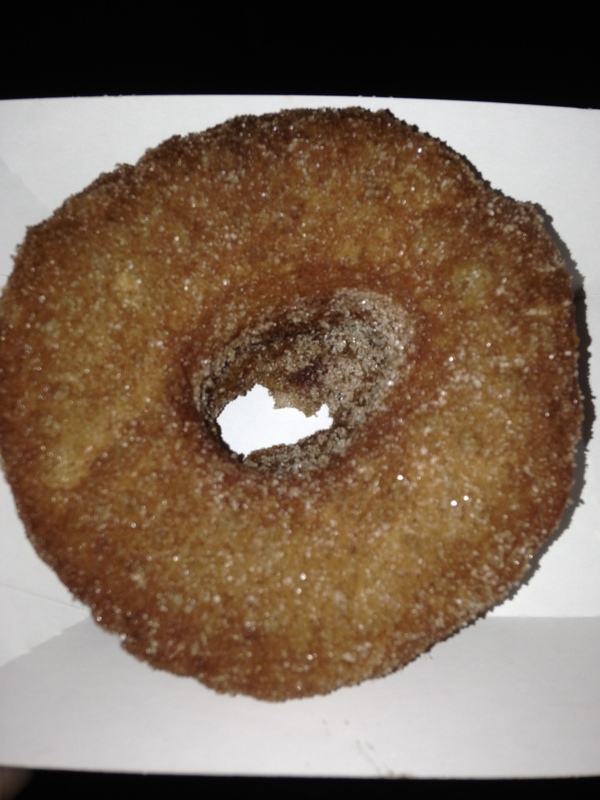 It is a croissant prepared like a doughnut (not runner friendly), covered in cinnamon and sugar. This was the first time we had one and it was not disappointing. After our dessert, we watched the fireworks show Illuminations, which is a phenomenal show and it is the personal favorite of both Susan and myself. Friday: We did some park hopping, trying our best to maximize the value for our tickets. Our day started at Hollywood Studios, where we rode the Tower of Terror multiple times and took in several shows since we were trying to limit the miles we walked. We also were able to work in a ride on Aerosmith’s Rock ‘N Roller Coaster thinks to Fast Pass+ on our Magic Bands. Dinner was at the Brown Derby where we enjoyed their “world-famous” Cobb Salad and grapefruit cake. After dinner we headed over to the Magic Kingdom to check out the new Fantasyland, including Beast’s Castle and the new Little Mermaid ride since that is Susan and my sister-in-law’s favorite Disney movie. We also watched Wishes, which is their nightly fireworks show. I used my GoPro on several rides throughout the day, but honestly, they were not that impressive. Tower of Terror and Space Mountain were too dark to be worthwhile, whereas the Little Mermaid ride is a little slow to post. I honestly shot that one specifically for my sister-in-law. I did not use my GoPro on the Rock ‘N Roller Coaster because I was afraid it would fall off (same as Test Track) and it was dark in there as well, so the video would not have been great. Saturday: We started our day at Animal Kingdom, which is the best park to start at since everyone wants to go to the bigger parks first, so you can do everything you want in a relativity quick manner. We rode Expedition Everest three times, Dinosaur, and the Kilimanjaro Safari within the first hour an a half of going to the park. I got an awesome video from the front seat of Expedition Everest since there was not that many people to contend with for seating. My video for Dinosaur was not great, so I will not be posting it. So enjoy my video of Expedition Everest! After leaving the park, we returned to our hotel to relax with Susan’s cousins at the pool. I did make a return trip to the expo for some fuel and a last second walk around. Dinner that evening was at Il Mulino and it was easily one of the best Italian restaurants in which I have ever eaten. I took it easy, but all of our friends and family really enjoyed the food and wine. The rice balls and gnocchi were both phenomenal and the Caesar salad was hands down the best I ever had. The portions were huge and I am really glad that Susan and I decided to split the gnocchi. And honestly, the place was the most reasonably priced meal of the entire weekend, especially when you consider the quality and amount of food you get. I can not wait to return there when I can fully enjoy the menu and atmosphere. 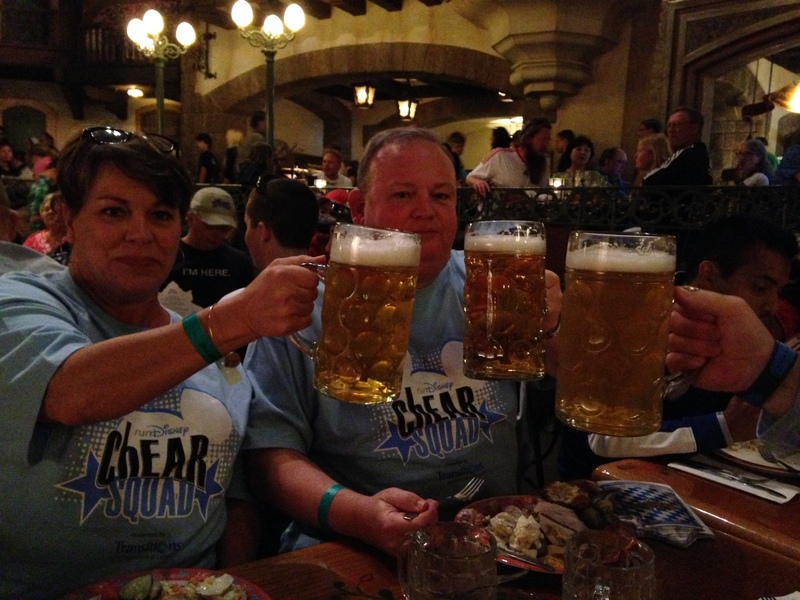 Sunday: After the race, we went to Germany in Epcot to refuel and enjoy some liquid refreshment. My grandmother is from Germany and my mom spent many years over there, so I love German food. Not to mention the gigantic beers that they serve there. After lunch, I had to have another cronut, this time a la mode, and then we went back to our hotel to shower and crash for a couple of hours. That was the best sleep of the entire week! After our nap, we returned to Epcot for dinner at Le Cellier, which is the steakhouse in Canada. My first impression of the restaurant was that every employee was incredibly attractive. It was quite noticeable and unexpected. Apparently there is something in the water up north. Now onto the food. Susan and I split the cheddar cheese soup and Caesar salad for appetizers. You are also given a trio of breads, all of which were good. Dipping the pretzel bread into the cheese soups was great. Then we both ordered the filet with wild mushroom risotto and the steaks were on par with any steakhouse that I have had the privilege to previously visit. It was the most expensive meal of the trip, but it was worth it. 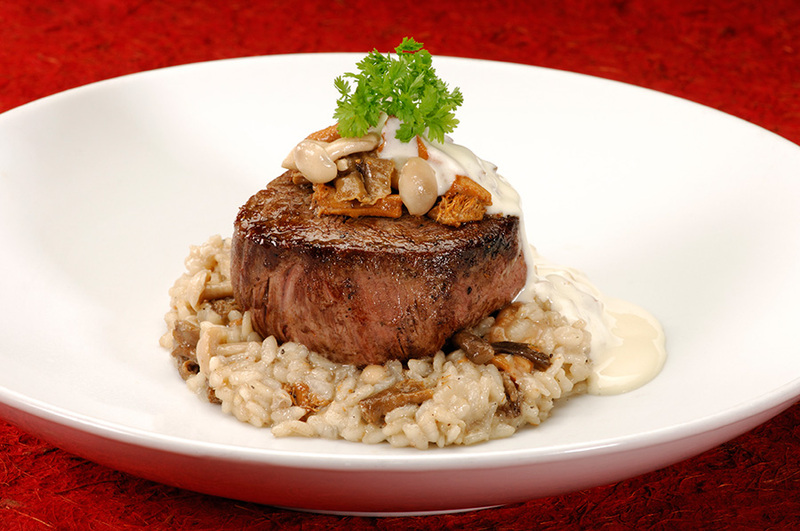 This is Disney Parks photo of the filet at Le Cellier. Ours looked really close to this actually. We enjoyed our trip to Disney, and even though we did not do as much as a typical trip there, we did hit all of our favorite rides and enjoyed some great meals. I really did a poor job of taking photos of my food while in Disney, so I do apologize for that. It has been an insane week for me thus far, but I decided to take a break from my office duties to allow my faithful readers to indulge in some randomness. I could probably write longer entries on the majority of what will be included in this post, but I honestly do not have time to do so right now. So enjoy this ADHD blog post! 1. Meet Molly. 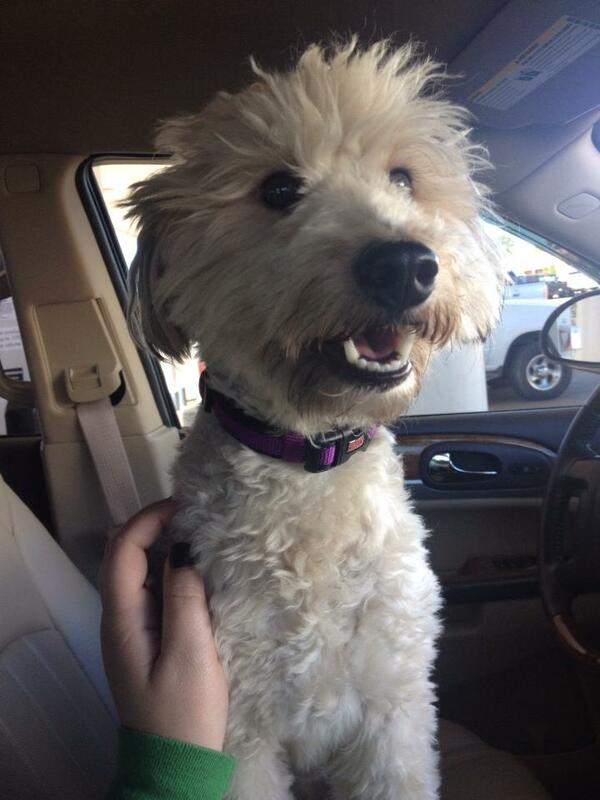 On Wednesday, Susan and I drove to Hayden, AL to rescue the newest member of our family, Molly. She was at a pet rescue there and had previously been rescued from a kill shelter. When she was rescued from the kill shelter, her hair was matted to the point that it had to be cut off by scissors because the shears would not work. Susan and I cannot fathom anyone ever surrendering a dog to a kill shelter, but especially not a dog as comfortable around people and playful as Molly. She took to us immediately and once we got home, Beau and her acted like they had been brother and sister for years. We are not 100% of her breed or age, but we know that she is at least part doodle, which is great for me and my terrible allergies, and estimate that she is between one and two years old. She was found in the same area in which we got Beau, so I feel that there is a high probability that they both came from the same breeder and that her original owner came upon some hard luck that led to the less than ideal situation for Molly. Susan and I are happy that we found out about her and were capable of rescuing her. Side view of my apple after starting with the top. 2. Thanks to a Facebook post, I have discovered a new way to eat an apple. So yesterday I saw a post on Facebook about how we have been eating apples wrong for years. 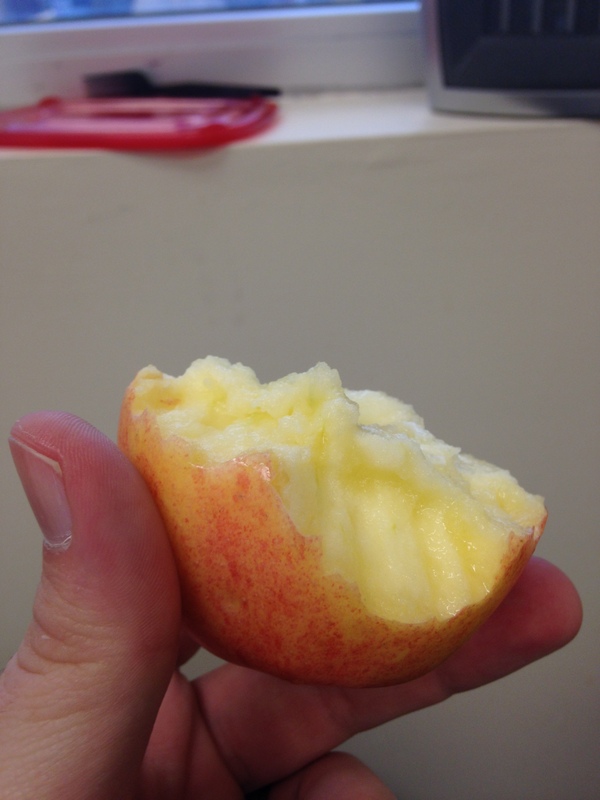 Today, I happened to have an apple in my lunch, so I thought that I would try this fancy new way of enjoying my apple. And to my surprise, the new way worked! I feel like Charlie Kelly discovering fruit for the first time in the “The Gang Hits the Road” episode of It’s Always Sunny in Philadelphia. You can read the whole article here. 5. I saw Thor: The Dark World this week. It was better than the first Thor movie, but not as good as The Avenger’s or Iron Man. They did a fantastic job of establishing the characters and it is a fun movie. 6. Maybe Lionel Hollins was a great coach. After the first eight games of the season, most people here in Memphis have given up all hope on the Memphis Grizzlies. 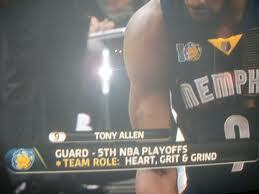 The Grizzlies are 3-5 and not playing good defense, which was a staple of their success over the past few seasons. But, it is November and there is a new coach, so I will wait a little while longer before passing judgment. Also, I think fans need to start a petition to stop The Commercial Appeal from abbreviating the name to Griz. It is Grizz. Griz looks stupid and is not how the team shortens their name on social media. The Commercial Appeal argues that the mascot’s name is Grizz, and when you are referring to the team, the spelling should be different. It should not. 7. My running is back to normal. After a horrendous run on Sunday, I have been able to hit the reset button and had a couple of good runs this week. 8. One more race?! Unbelievably, I only have one race left this year. My goal for the year was to run in at least one race per month in 2013, and I have blown that goal out of the water thus far with 27 races so far. 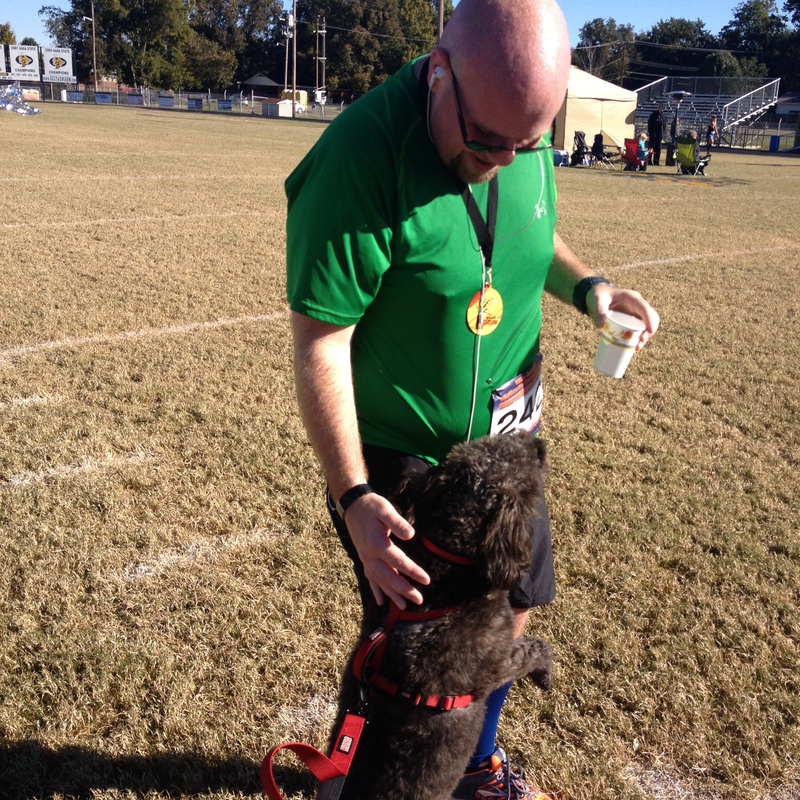 The St. Jude Half Marathon on December 7 is my last scheduled race for the year. This definitely feels a little weird. 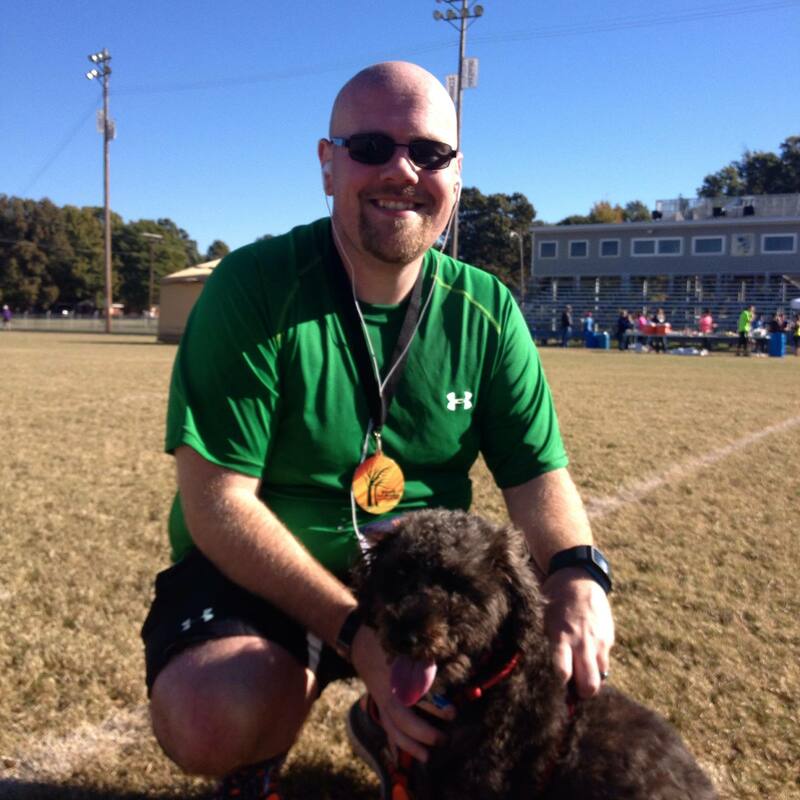 This was the second of three races that I ran over the first weekend of November. This was the first time that I have run in this event, which was my third half marathon since September 1, and second in thirteen days. 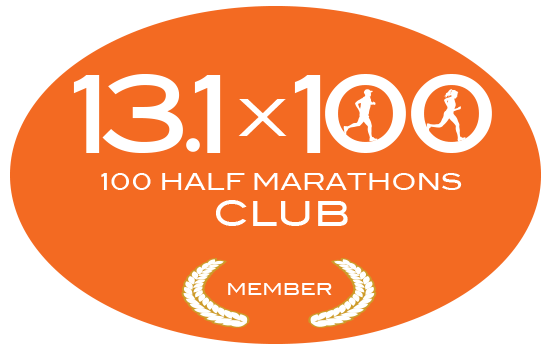 This also marks my third state to run a half marathon both all time and since September 1. It is amazing to think that I have been able to do this. Even more unbelievable is the fact that the last half marathons that I have run have been my fastest two! And to be honest, I did not know what to expect from this small town half marathon, but I must say that I was pleasantly surprised. 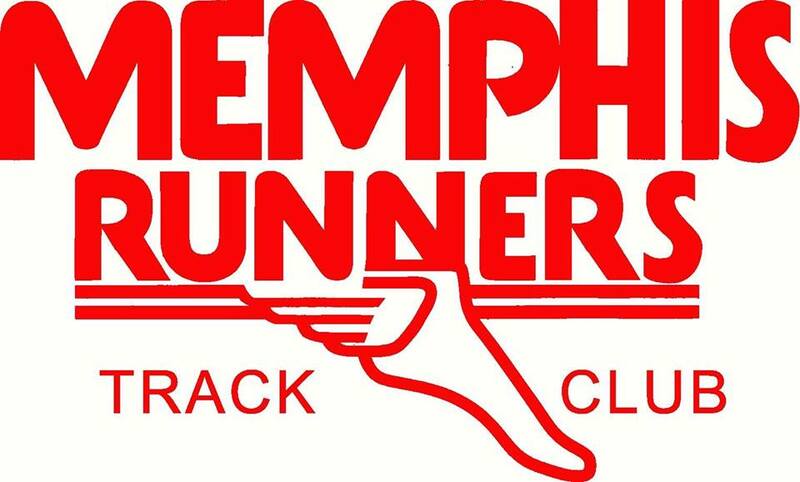 The race is held at Wynne High School in Wynne, AR, which is about an hour from Memphis, which is one of the reasons that I signed up for the race. I would not have to get a hotel room and I could just wake up early and travel to the race. Also, the registration fee was only $27, which is by far the cheapest half marathon registration that I will ever find. I have run 5K’s that have charged more than this! I woke up and headed out to the race at 6:00 am. I wanted to get to the event early since I was not able to go to the early packet pickup on Friday afternoon. As I headed out, I pulled up the directions and realized that the race was a little further away than I expected, so my anxiety accelerated a little bit. And my anxiety did not subside when several notices about road construction were posted on I-40. Luckily, traffic was not bad this early in the morning, and I was actually able to make great time on my way to the race. Much like the 4 Bridges event, this one race was quite cold with the temperature at 45 degrees when I got out of the truck. At least I had a hoodie this time and was much better suited to battle the cold. The line for the packet pickup was not too bad, and waiting until the hour before the race was not a detriment to my race. A bonus to having the event at the local high school and the fact that the race was not huge was that participants could use the schools bathrooms with little to no lines. Yep, a half marathon with indoor bathrooms and small lines! There were also several port a potties, but most of us did not need visit these since we had the indoor options. Someone was happy to see me! This was supposed to be my first half marathon without Susan. At the St. Jude Half Marathons, she can drive around the course with her dad, a retired cop, to see me at various points. Our hotel for the Tupelo 14.2 had a shuttle, so Susan did not have to leave with me at 4:00 am. At 4 Bridges she had the ability to stay at her sister’s apartment near the finish line until I was close. With this event, there was no such luxury, so I was prepared to run it alone. 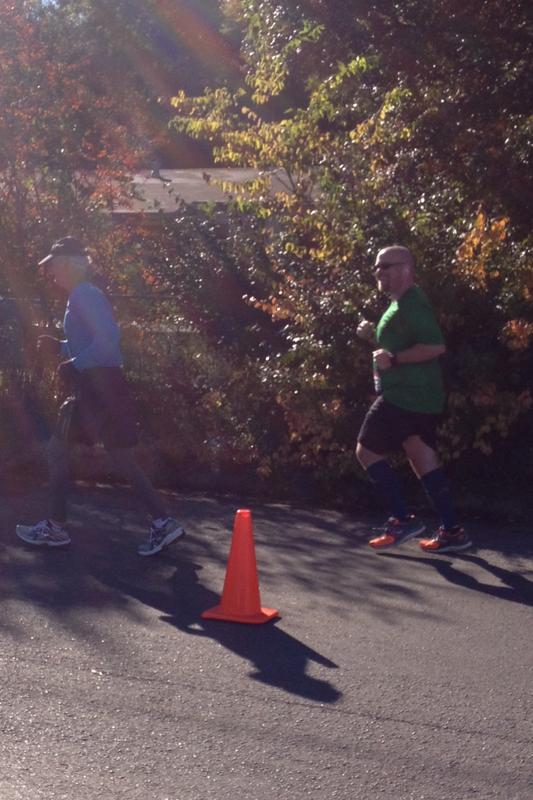 However, as I was approaching the finish line, I saw Susan with our dog Beau! It was a great to see them and completely unexpected. She apparently was sad that she was not going to be there with me so she decided to head over to the race. It was definitely a welcomed site. I did not know how well I was going to run the event provided that I had run a race the night before, but I did not have any issues during my run. I started strong, and a little faster than ideal, but I was able to get it under control before it detracted from my entire race. After about five miles, I knew that I had a shot at my second straight PR, but I was not going to get ahead of myself. I was simply going to run the best race that I possibly could. I ended up with my second fastest race ever, which is not too shabby. 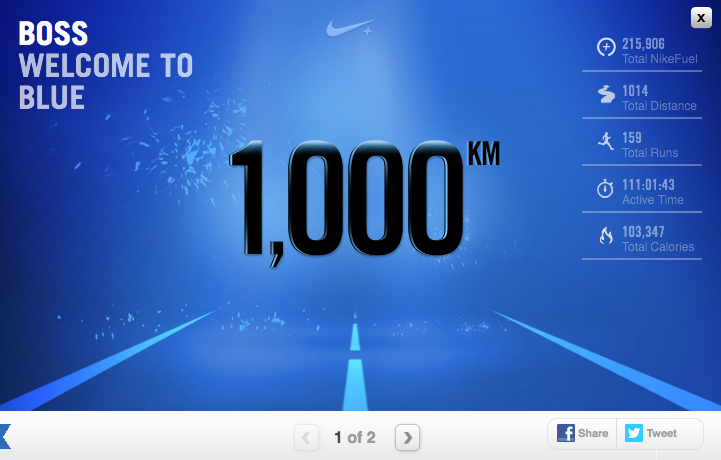 In fact, my last mile was my fastest of the entire race! I was able to run mile thirteen at a pace of 8:55, which was my sixth sub 10:00 mile! Miles eight, ten, and eleven were my weakest, but the were in the 10:00 range. 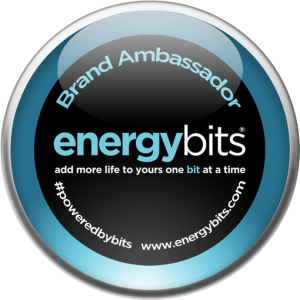 Swag: B+: All participants got a long-sleeved t-shirt that was very soft, some coupons, a shaving cream sample, and a medal that was a vast improvement over last year’s race according to a Google image search. 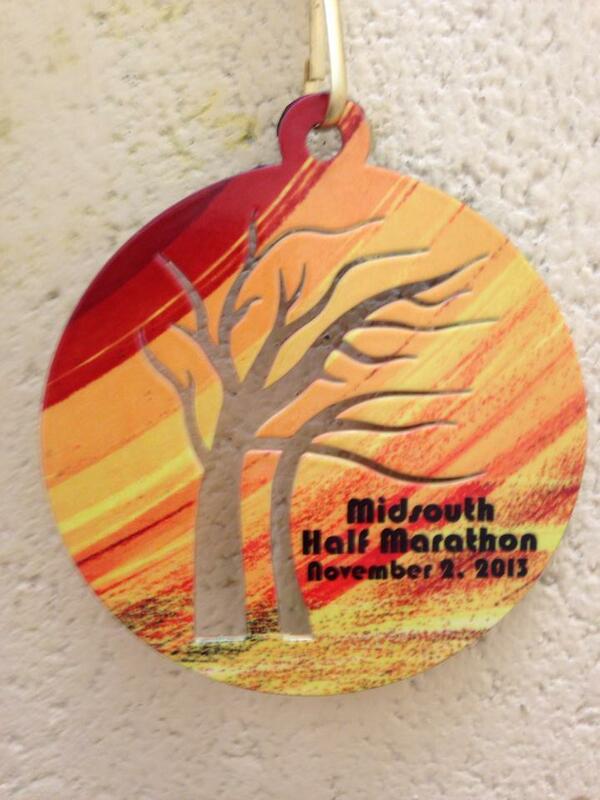 I was very happy with this year’s medal, a very colorful metal medal with some trees cut out of it. From some of my conversations with race volunteers, they really hoped us runners could enjoy the trees changing colors along the course. This was the inspiration behind their run. There were aid stations at every mile with water and Gatorade, and on the way back, the stations also had bananas, orange slices, and pretzel sticks. The post race meal was BBQ and ribs with all of the trimmings, but it was to be served at 11:00 am, and I did not want Susan and Beau to wait that long. Too bad because it smelled outstanding. Course: B+: It was on out and back course, starting by the high school, following some country roads, and finishing on the football field. For University of Memphis fans, this was the football field that DeAngelo Williams played on in high school before breaking NCAA records at Memphis. The only downside was the cumulative mile along US 64 where we had to run on the should of the road as semis came down the highway. This was a tight squeeze for runners going both ways, but no one had an issue with it to my knowledge. And when we crossed the highway, there were cops directly traffic to help protect the runners. Overall: A-: This was a well-organized event with some of the friendless volunteers that I have ever encountered. The event was an insane value for $27 and well worth the trip over the river. I would certainly be open to running this event again in the future. This entire event reminded me of my rural West Tennessee hometown and that was a good thing. Also, it does not hurt that this was my second fastest half marathon ever with an official finish time of 2:12:45! So in the last thirteen days I have bested my previous best time by four plus minutes twice! Is it the shoes? This is a throw back to NBA Jam. Rocking rash? This does not sound appetizing! On the way home, we stopped at Tropical Smoothie Cafe for a quick bite to eat and a smoothie. This trip only warrants a mention because of what was written on Susan’s smoothie. 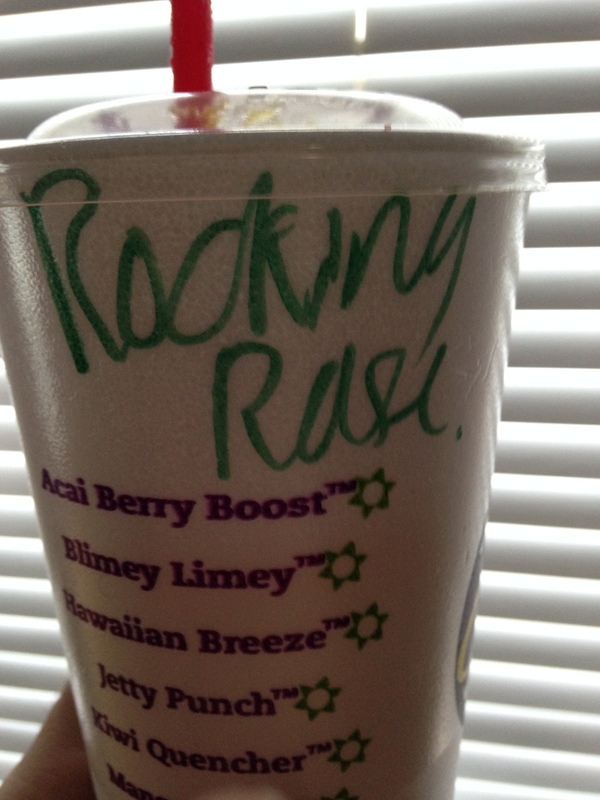 She ordered a Rocking Raspberry, which was abbreviated to read Rocking Rash, or at least it looks like that to me! Last week I posted about my experience at the 4 Bridges Half Marathon, and I barely touched on anything about the weekend besides the race. This post is going to be about the sights and experiences that Susan, her sister, and I had over the weekend. There might be a little overlap with my previous post, but the majority of the info will be new, I will not rehash the race or our bed and breakfast, The Mayor’s Mansion, which was awesome. I will, however, talk quite a bit about food, especially food that is not ideal for weight loss. Anyone that knows me knows that when it comes to going out to eat, I prefer to go to a local place. It is great to support your local community, try some unique recipes, and bathe in the culture. This is doubly true when I travel away from Memphis. I can have the same mediocre steak at an Applebee’s anywhere! I usually refer to Yelp!, Urbanspoon, the Man vs. Food website, or Diners, Drive-Ins, and Dives website to see what is out there. This trip, however, I did not have to rely very heavily on electronic reviews since my sister-in-law lives in Chattanooga and served as our culinary tour guide. The first place that we ate at was Good Dog, which is a hot dog restaurant by the park in which the race expo and packet pickup was at. I know not everyone likes hot dogs, but I do, and this place was beyond amazing. There were numerous varieties to choose from and a plethora of toppings as well. The fries were home cut in-house and come served in a cone that sits in a hole drilled into the tables. There are four types of house ketchup available on the table and a house rub as well. I went with the BLT dog, which was exactly what it sounds like. The homemade mayo, called fritesaus was great, and I cannot wait to try some more of the menu items here in the future. The second place we visited was the Big River Grille & Brewing Works. This is not 100% local because there is a restaurant open in Nashville, and Lake Buena Vista, FL, but we don’t have one in Memphis, so it counts. The wait here was insane, so we opted to sit on the patio. This was a big mistake. The temperature was steadily dropping and by the time we finished our meal, all of our teeth were chattering. It was this experience that prompted the trip to Wal-Mart for my cold weather gear. I did not order a beer since it was cold and we were trying to rush our order, but I really wish I did. Susan had a grilled chicken sandwich with avocado and bacon, my sister-in-law had a cobb salad, and I tried the Mac ‘N Chicken. My meal was rich, but very good, and portion was huge. I only ate about half of it, which I appreciated the following morning during the half marathon! After the race on Sunday, we went to Taco Mamacita. This is another local place that is expanding to new markets, namely Nashville and Sullivan’s Island, SC. The place is billed as “Fresh-Mex” due to the high quality of the ingredients. We all three opted for the two taco and side deal. We ordered the California Club (chicken, avocado, bacon), Taco Royale (double stacked taco with chicken and chorizo), and Oy Vey (brisket) tacos, and the Mexican street corn, charro beans, and green chilli rice as our sides. The California Club and street corn were the far and away winners, but I would have no reservations about ordering anything that we had again. I also enjoyed a Sweetwater 420 while the ladies had homemade sangria. 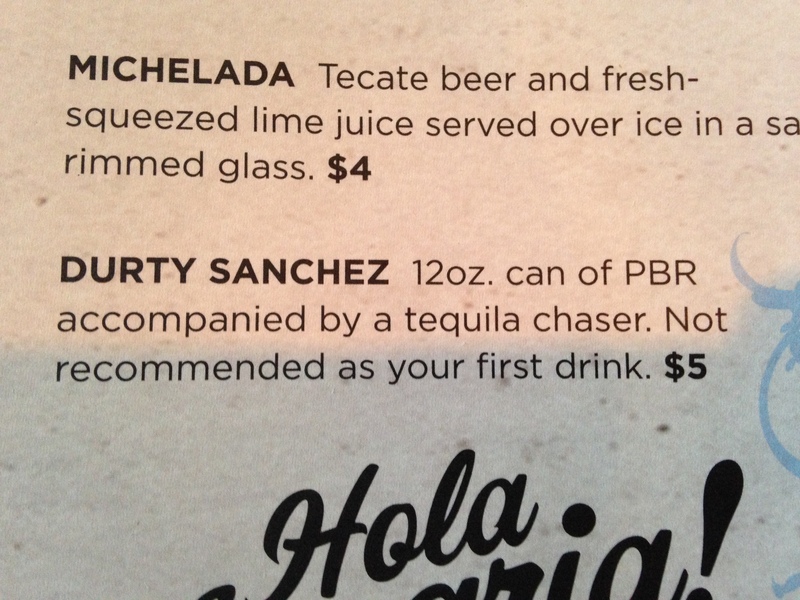 There was also something on the menu called a Durty Sanchez, which was a PBR and shot of tequila. The man beside us order this against the wishes of his wife and young daughter. She almost had him convinced that it was too early to drink when are drinks from the bar came out. Whoops! For an afternoon snack, I suggested that we try an ice cream place called Clumpy’s. My sister-in-law had never been there, but it was next to Good Dog and seemed promising. The was a considerable line when we got there and it only kept growing as we waited. There was only one poor soul working, and he was earning every tip that he got. The ice cream and waffle cones are homemade on site, so this is what I had. I used opt out of a cone, but the ones coming off of the waffle iron smelled too good to pass up. The ice cream selection seems to change daily and my chocolate peanut butter and pistachio ice cream waffle cone combo hit the spot. 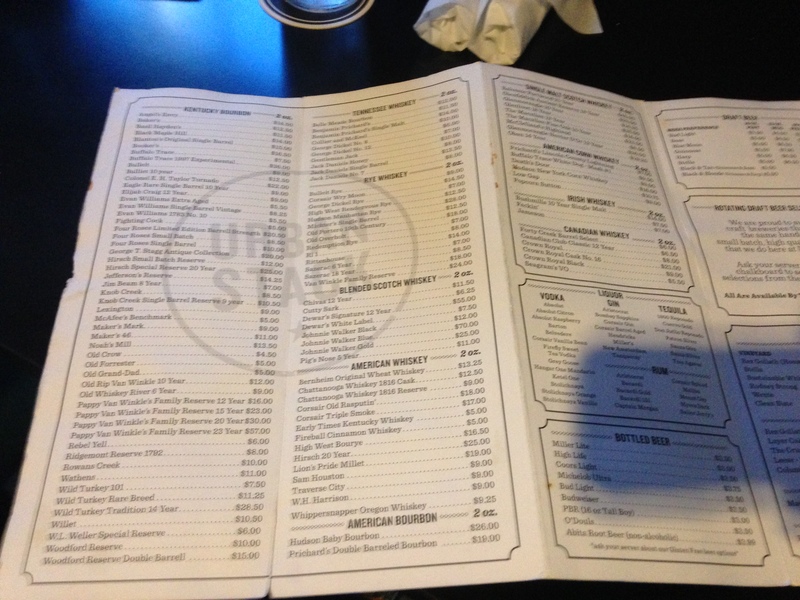 Dinner was a Urban Stack Burger Lounge, which is actually owned and operated by the same people who own Taco Mamcita. This was a burger joint with a vast selection of whiskey and beer. They use local ingredients and have several specialty burgers, which is exactly why I eat at local places, variety and fresh ingredients. I opted for the Good Day, Sunshine, while Susan and her sister went for a more traditional burger. My burger was topped with a fried egg, bacon, a white vinegar mayo, and cheddar. It was big, tasty, and excellent, even if it was not the best burger of my life (that honor is still bestowed upon the Pharmacy in Nashville). The fries were house cut and there was a homemade chilli ketchup as well. Also, all of our burgers came with a side of house-made Fire and Ice pickles. I ate all three orders of the pickles and had no regrets. Greatest sign ever! 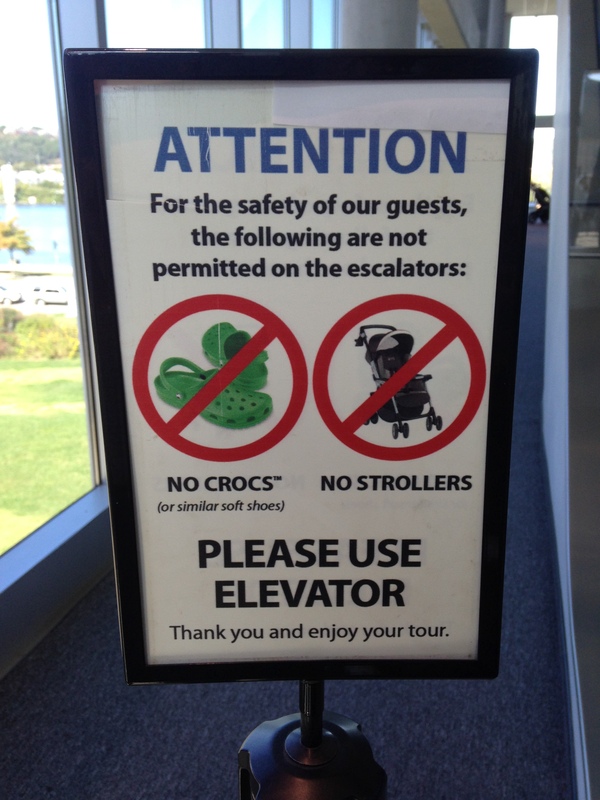 No Crocs! Our breakfast at the Mayor’s Mansion was also delicious, even though I missed my all time favorite, French toast, on Sunday morning since I was running. We also stopped at Publix on our way home because Susan loves the subs from there and she cannot get them here since Kroger has a grocery store monopoly in Memphis. This is the second trip in a row where Publix subs have made an appearance and will be a sign of things to come on future trips to Publix friendly towns. The biggest attraction in Chattanooga besides the mountains is probably the Tennessee Aquarium, which I had actually never been to. The place is separated into two buildings, with one being the ocean side and one being the river side. All three of us agreed that the ocean side was better mainly because of the penguins and despite the butterfly massacre. The penguins were all over the place and very energetic. They interacted with the spectators as much as the could behind all of that glass. 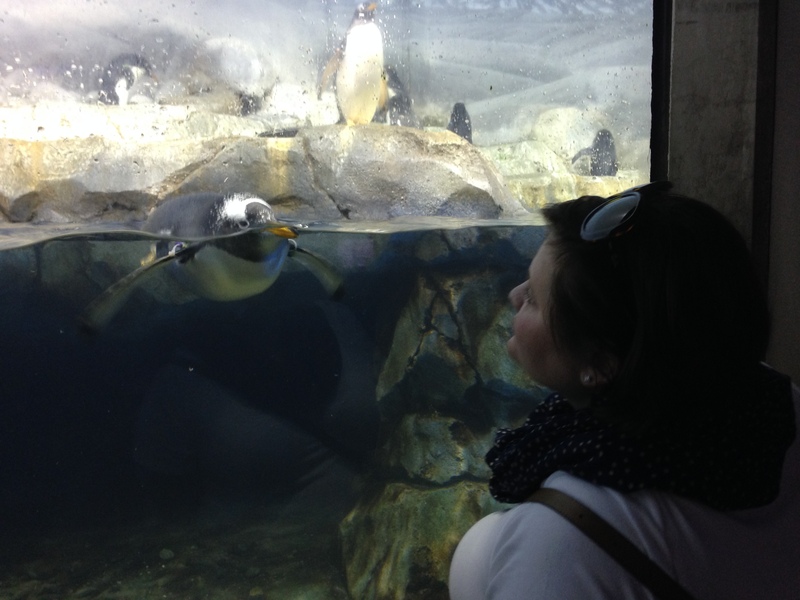 It makes me feel sad for the penguins here at the Memphis Zoo. Side note, Susan and I are Memphis Zoo members which carries discounts at almost every zoo, museum, or aquarium in the US, especially the southeast, yet this aquarium was not one of them. The butterfly massacre is in reference the nets in the butterfly room. There were hundreds, maybe thousands of dead butterflies caught in the nets surrounding the ceiling. It was kind of off-putting. There was a gigantic tank that was four stories tall and all manners of ocean life in it. There was also a couple of touch tanks where you could touch a shark or ray. The river side would have been better the otter exhibit would have been open. 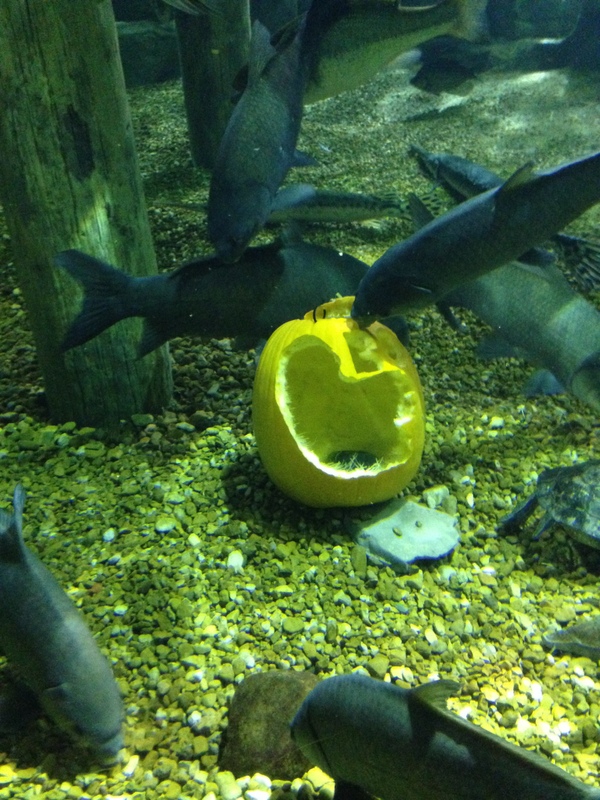 That is the major draw for that side of the aquarium, and without it, the place seemed kind of dark and empty. Also, when we walked into the building, somewhat commented that I looked like Walter White. I’m 31 and I was compared to a 51-year-old meth dealer with cancer, so that wasn’t great. 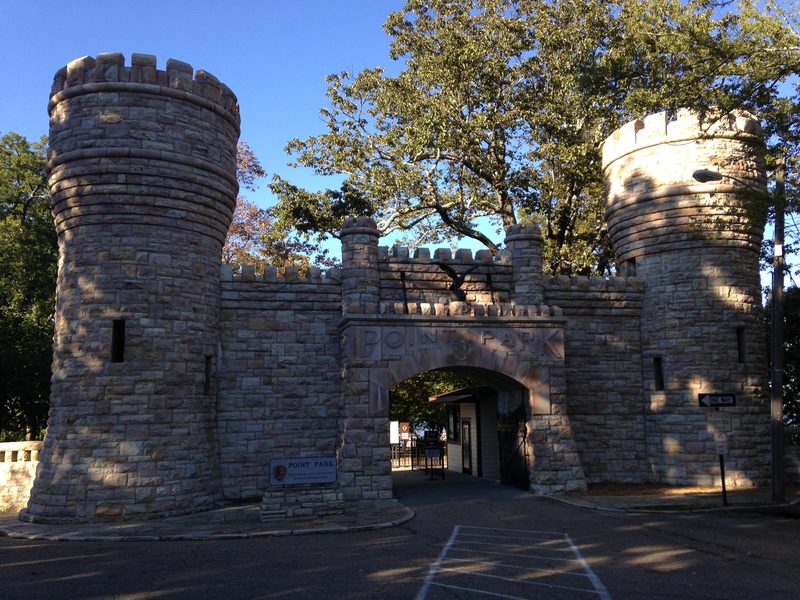 After our ice cream snack, we went to Point Park Battlefield, up on Lookout Mountain. 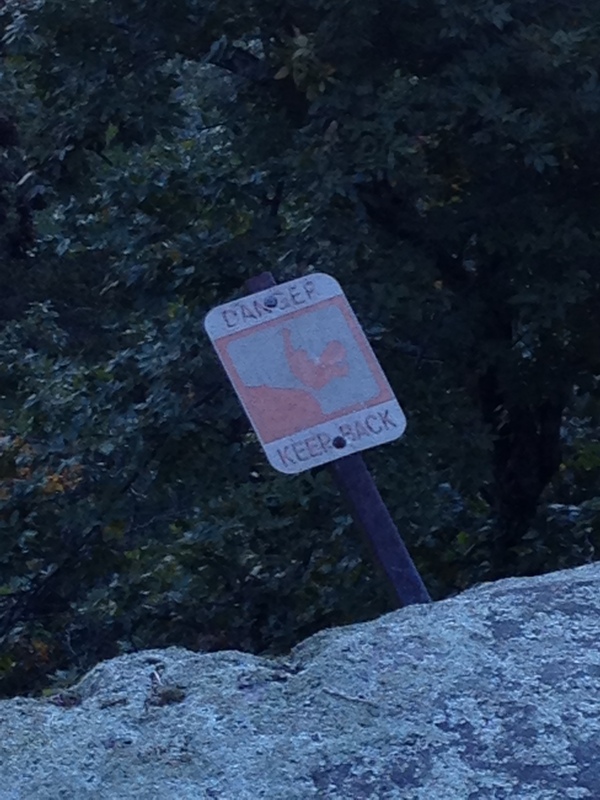 It is a national park that thankfully had reopened after the government shutdown. 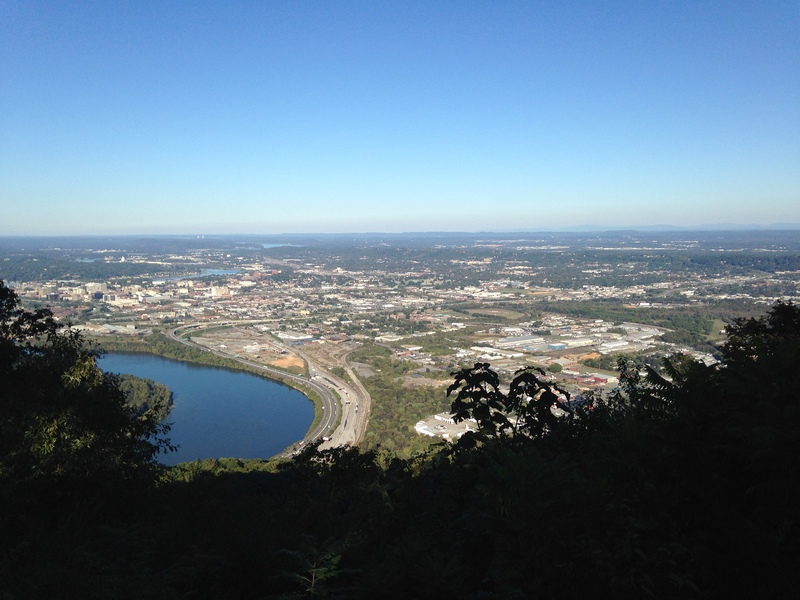 It was a Civil War battle site and has a great view of the city. There is a small museum, a couple of cannons, and several places to take in the view. This was the only place we went on the mountain since it was so late in the afternoon. We didn’t have a chance to go to Ruby Falls or the haunted cavern that was up there. Apparently the haunted cavern is a top ten haunted house and I was the only one that wanted to go to it. It has been a busy and expensive week (in a good way) for me this week. This week was a down week for the Galloway WDW Marathon training plan which also serves as a brief taper period for the 4 Bridges Half Marathon. Monday: This was a rest and recovery day after my fifteen miler. I left work early so I could meet the driver from my buddy Zach’s dealership at my house because I purchased a new vehicle! 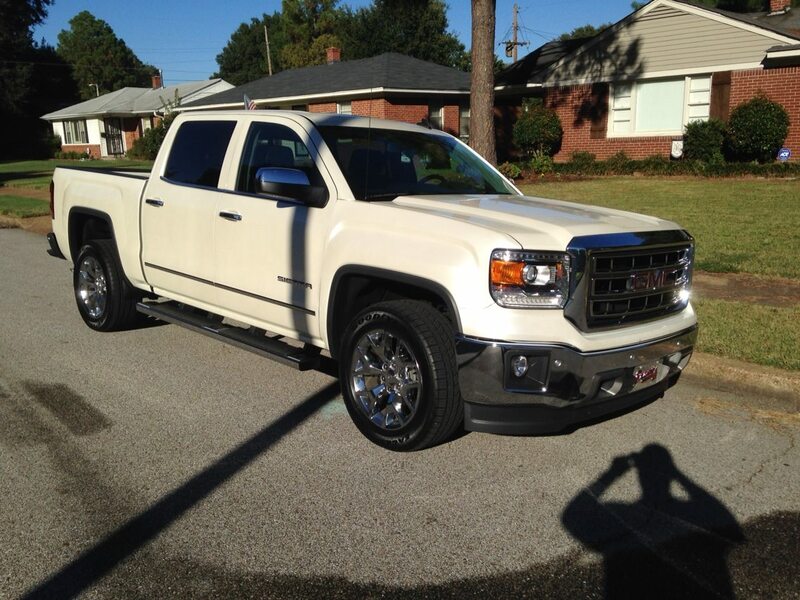 I did not really need a new vehicle, but I decided to upgrade to the 2014 GMC Sierra SLT. It is an awesome truck with all the bells and whistles. It is bigger than my old truck, so there is a little bit of an adjustment period to driving it, but taking it to and from the beach was good practice. Tuesday: No run since I opted for an extra hour and a half of sleep. I went to work, then class, and then I loaded up the new truck and headed to the beach to meet Susan and friends. Seacrest, FL is eight hours from Memphis, so this was quite an endurance test. I would like to thank the makers of Perky Jerky, Monster Energy, Diet Mountain Dew, and Snickers for helping fuel my midnight ride to the beach. I am happy to say that I made the trip without an incident and really was not too tired to enjoy my mini vacation. Wednesday: After a quick three hour nap, I woke up to enjoy the day. I first went for a four mile run along the bike path parallel to Highway 30A. It was a strong run with great scenery. It was even better than the Greenline here in Memphis simply because the scenery was even better. The rest of the day was spent at the beach and dinner consisted of some peel and eat shrimp and fried crab claws at a local eatery. Thursday: I started the day with a mile long beach run followed by a quick circuit of incline pushups, crunches, bicycles, jumping jacks, side crunches, and normal pushups. I followed that with a key lime doughnut from the Donut Hut, which was good, but would be trumped later in the week. Afterwards, I discovered that Samuel Adams Octoberfest is an excellent beach beer and tried the local Grayton Beer IPA, which was excellent. Dinner was at The Back Porch, which has great food, but next time I will order a blackened sandwich instead of the Angry Amberjack Sandwich. Friday: I started the day with another four mile run down 30A, this time in the opposite direction as my Wednesday run. 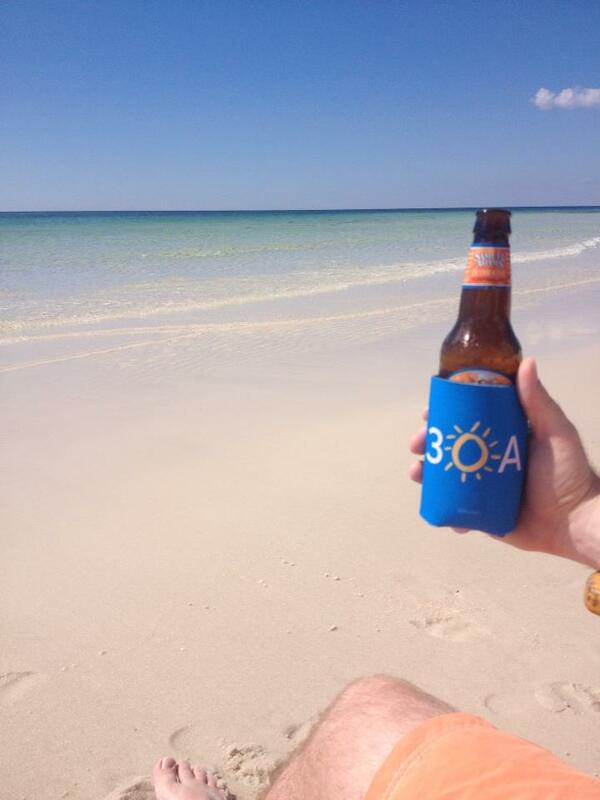 I followed with more beer on the beach, as well as some grad school studying. 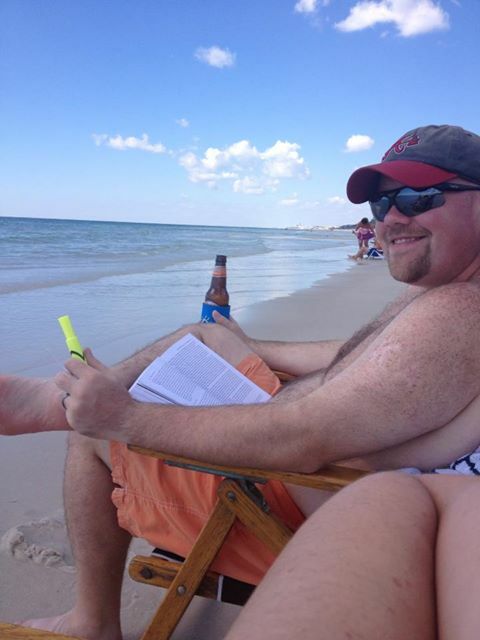 I very well might be the first person ever to read the textbook Mission Mystique on the beach! Dinner was my first experience at The Red Bar, which was by far the best meal of the week. I had their famous crab cakes and was not disappointed! 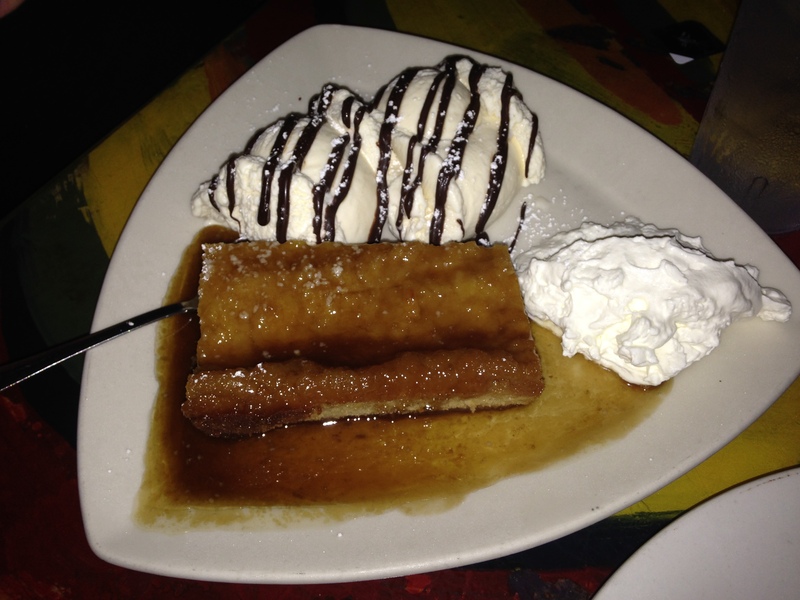 We opted for dessert, and it was the right choice. Susan had bread pudding and I had the key lime pie, which rivaled any that I have ever eaten. 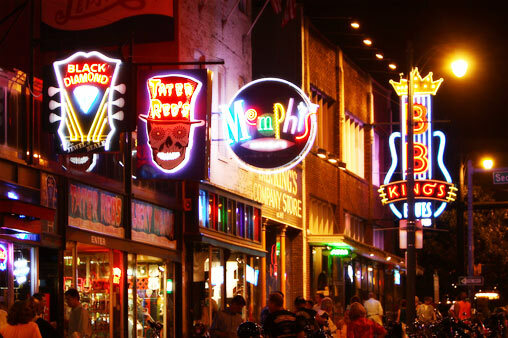 Saturday: Sadly, we had to return to Memphis. Before we left, we ate at The Donut Hole, which is very well known in the Destin area and if you get there late, you will wait for a very long time. We thankfully beat the rush there and were seated almost immediately. I went with the “Diet” Plate, which is biscuits, sausage, eggs, and hash browns, covered with cheddar cheese and country gravy. Amazing, even if it is not healthy. We also order some doughnuts to go for later in the day. We went with the key lime, chocolate chocolate, blueberry cake, and plain glazed doughnuts. They were all amazing, and the key lime doughnut here was even better than the Donut Hut. The biggest positive to returning to Memphis was that we were able to see our dog again! Maybe next time we will take him with us. Sunday: My weekly “long” run was actually just another four miler. It was my only run of the week that did not have the ocean in the background, but I did not let this get me down too much. It was another solid afternoon. After my run, I decided to wash my truck since the drive accumulated quite a bit of dirt and grime. This may have been more of a workout than my run! But, the truck looks almost as good as it did on Monday when it was delivered. If we could have prolonged our vacation another day and a half, I would have tried my best to run a half marathon on 30A. Maybe I should have done some research before getting down there, because the Blue Mountain Half Marathon was Sunday morning and would be a great addition to my running resume. Oh well, I could not justify the extra expense of two more days at the beach and an extra half marathon to my schedule. Now, it is almost time for SNF between the Washington Redskins and Dallas Cowboys, and The Walking Dead returns tonight as well! This post might be a little late, but it is finally here. Last week was officially my first taper week, and honestly, I did not know how to juggle my taper long run and the Breakaway Bardog 5K. All and all though, I had a good week of training, and hopefully this will translate well for my race. Monday: It was a rest day since I had just completed thirteen plus miles the day prior. I was active around the house doing chores, but that was it. Tuesday: I ran just under five miles, but they were slightly split about. The first half a mile was a dead sprint with Beau, up and down our street. Running with Beau can be a little treacherous since he likes to go side to side and explore everything that comes along the path. His ADD has caused me multiple tumbles over the past few months! After dropping him off at the house, I hit the street again to complete my run, even if the lack of a pace dog had an adverse effect on my time. Since last week was a bit cooler than the norm for August, I was able to do this run post work, allowing me to sleep in a bit in the morning. Wednesday: I ran four and a half miles after dinner, which is something I do not do often. I do not like the feeling of running on a full stomach, but I wanted to make sure to get in some miles. I also deviated from my running norm by working in a few exercises during my route. After mile one and a half, I did ten burpees and fifteen pushups at a local elementary school on the route. After mile three, I stopped at a park to attempt some pullups. While I was unable to do one (no surprise), I did get some good core work in during my attempts by hanging on the bar and pulling my knees up. I finished the run with ten more burpees and twenty more pushups. Thursday: I only ran three and a half miles because I was having some complications with my asthma. This has been a recurring theme over the past week or so. Friday: No run, but I did a TRX routine focusing on my upper body and core. I wanted to give my legs a little bit of a rest. After the workout, I went to my sister-in-law’s birthday dinner at Paulette’s, a local favorite that I had never visited before in Harbor Town. The best thing anyone ordered was the peach crepe made with fresh, local peaches from Jones Orchard that Susan ordered for dessert. Even though all of the food was good, she definitely won the food ordering battle with that selection. Saturday: The day started with a return trip to the Memphis Farmers Market, which led to some fresh okra, grouper, squash, zucchini, purple hull peas, and Susan getting reprimanded. Apparently bringing your dog to the outdoor market is frowned upon. This was news to Susan since the previous two weeks there were dogs everywhere. You live and you learn, I suppose. That afternoon, before grilling up some grouper tacos, I did a full body TRX routine. My TRX home kit is a lifesaver. I do, however, need to start going to the gym more often to justify my membership fees. Sunday: The day started with the Breakaway Bardog 5K, which you can read about here. After the race, we took Beau to my in-laws for a play date with their dogs. That evening, my trivia team vied for the the title of Memphis Champions, but we fell short of that goal. Due to a lack of sci-fi knowledge and some Van Halen hubris, we fell out of contention, and this round of trivia finals has now concluded for us.